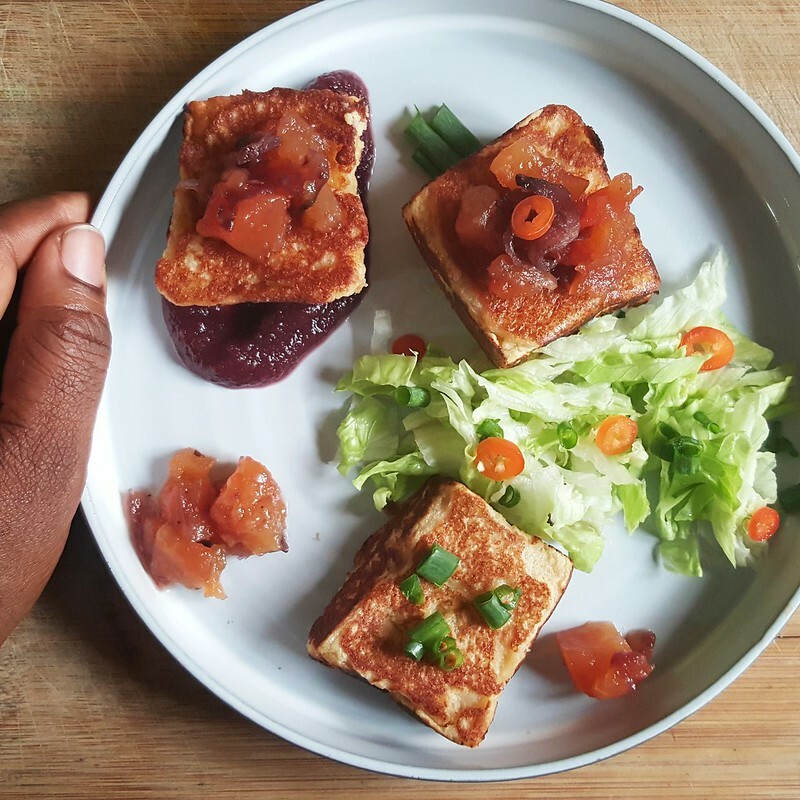 Which originally began life as Akara French Toast. 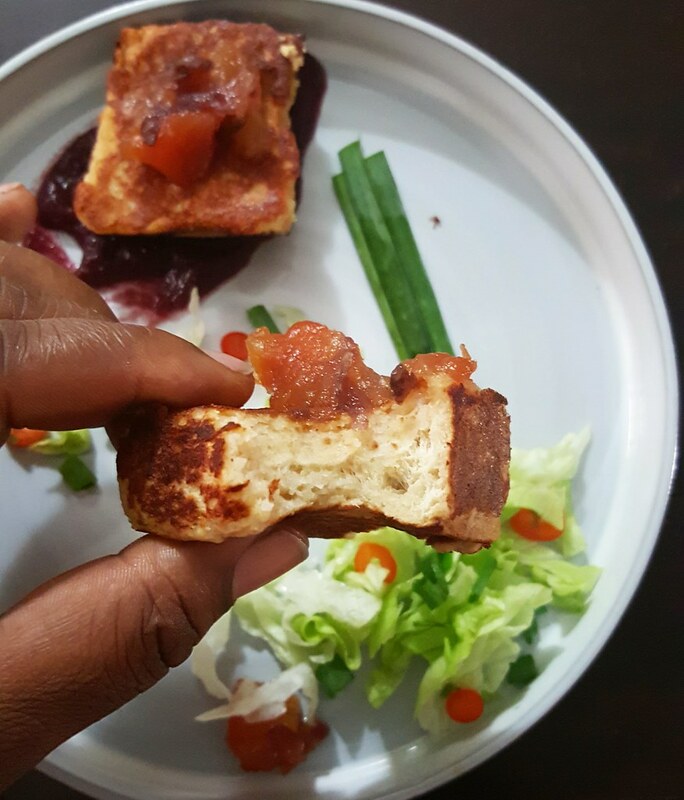 However, in view of where we are, and the nudging of @berri_licious, I rechristened it thus Akara Nigerian Toast or just simply ‘Nigerian Toast’. 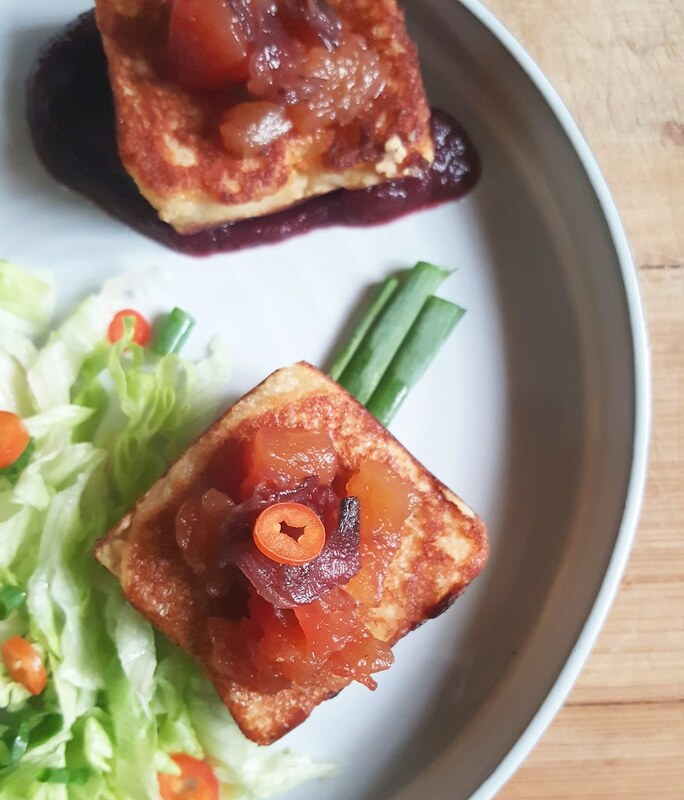 I like the idea of savoury French Toast and have had versions with cilantro and spring onions, inspired by an Indian recipe and really loved it. It’s essentially pan-fried bread covered in Akara batter. And it is delicious. I called it French toast originally because of the similarity a la dipping bread in a liquid mix. However, this is sans eggs. 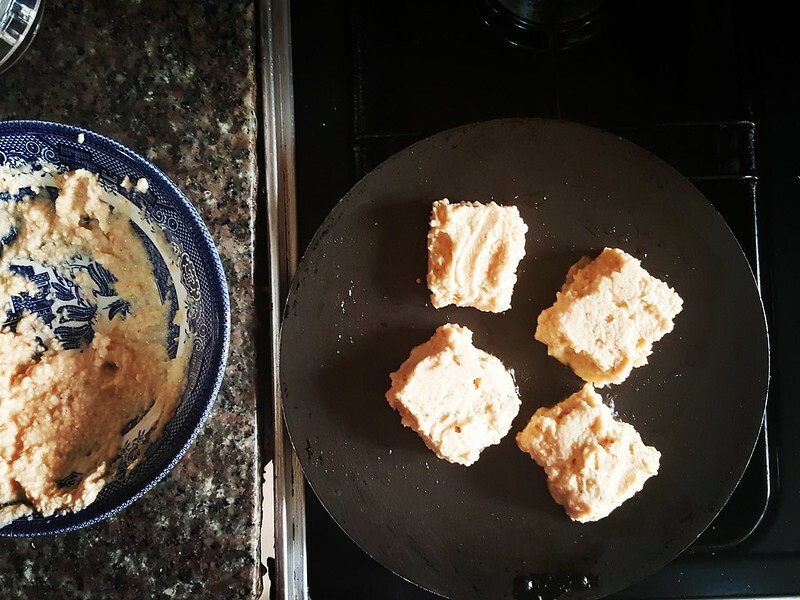 Make Akara batter – proportions are key to get the consistency of Akara you like. I generally use 1 cup of water to 2 cups of skinned beans. 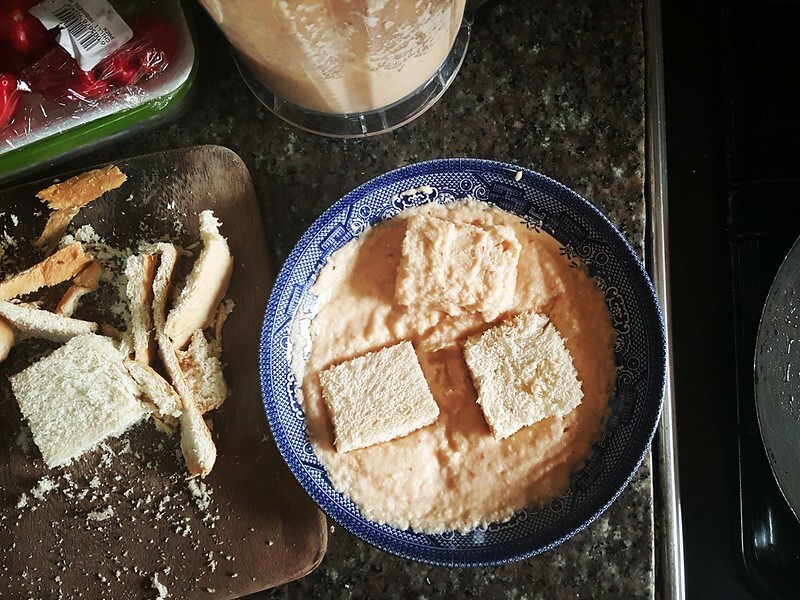 Slice some bread, sans crust then dip in Akara batter, till all sides are covered. Heat up a frying pan and lightly grease with oil. 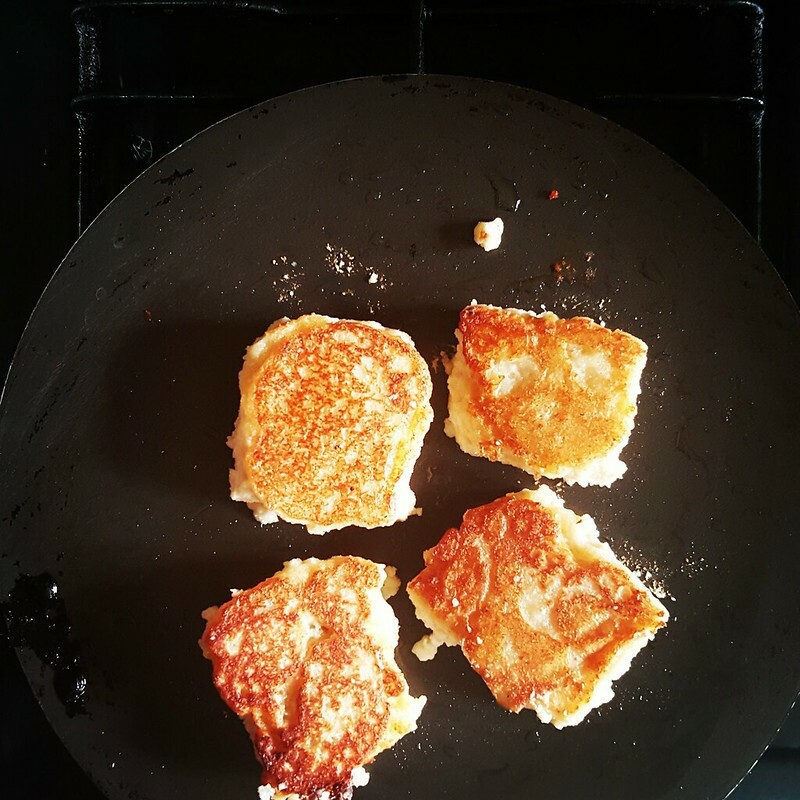 Place pieces of bread in pan and cook on each side, including the edges till brown. The flat surfaces will have the ‘Akara’ look. Remove from pan once cooked and serve as you desire – with ogi (corn pap, custard, oats) or go the route I did with vegetables and sauces. I served mine with a zobo & pawpaw jalapeño chutney, zobo pepper sauce, iceberg lettuce, spring onions and chili rings.